← Short Hair is Not a Curse, Anne! Little Rhody Has Hit the True Crime Big Time! I am absolutely NOT a fan of murder. It would be a terrible thing to happen to me! However, I AM a fan of people from Rhode Island, and also shows ABOUT murder. So, when you combine the two I just want to party with an Awful Awful from the Newport Creamery in the Garden City Center in Cranston. 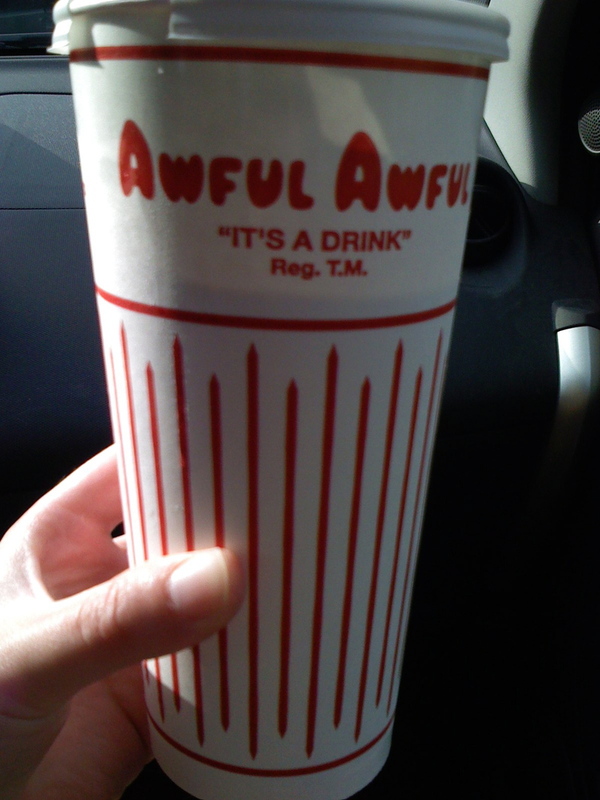 Yes, it’s a drink, and it’s awful big and awful good! You can imagine my delight, then , when I first caught the episode “Shelley’s Last Breath” on 48 Hours Mystery on May 8, 2010. This show featured David Swain, a diving instructor from Jamestown, RI–where my very own aunt had once lived!!! David was married to Shelley Tyre, an administrator at a private high school in Massachusetts. Oh, I thought, I can hear the accents already! Anyway, David and Shelley went on a trip to Tortola to go Scuba diving with another couple. And then, sadly, Shelley died while underwater. Yikes! To make a long story short, David ended up getting convicted of her murder–he allegedly pulled off her diving equipment while they were in underwater. Yes, I’m often flippant, but it is really sad. And “Shelley’s Last Breath” ended with David in a Caribbean jail (which is SO not as glamorous and fun as you’d think, apparently), vowing to appeal his sentence because he’s an innocent man. I was all, whatever David, it’s always the husband. Flash forward to January 21 of this year, when 48 Hours Mystery reran the story. My DVR picked it up, which confused me because I had already seen it. Whatever, I thought, I have nothing better to do despite the fact that I am a beautiful single woman in a bustling city. So I watched it, and low and behold, there was an update at the end! David Swain’s sentence was overturned and he was a free man back in, you got it, Rhode Island! 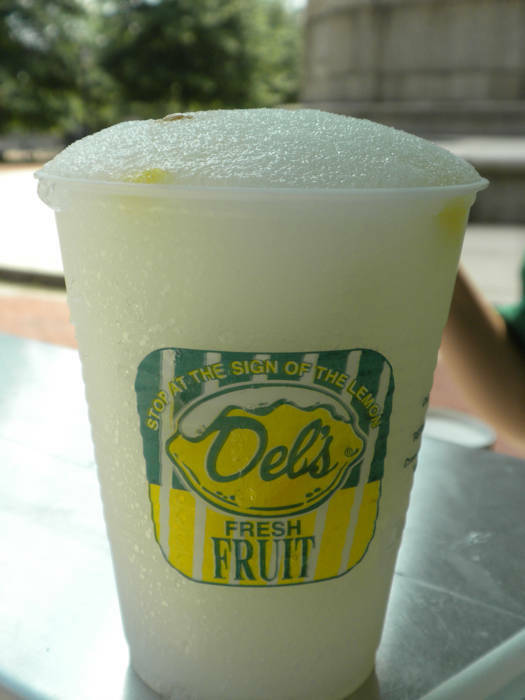 Let’s break out the Del’s Frozen Lemonade and celebrate! Now that’s a fruit juice! Now, this would be the end of the story EXCEPT that this past weekend I was catching up on all my shows and I saw that 48 Hours Mystery’s arch nemesis Dateline told its OWN version of the David Swain/Shelley Tyre case on July 6 called “The Last Dive”! What the H-E-double hockey sticks, I thought to myself. But again, nothing better to do so I watched hoping that there would be yet ANOTHER twist! Maybe David brought another wife to the Caribbean and she died diving too, Drew Peterson-style. But . . . no. No new updates. It was pretty much the EXACT same story, though the Dateline version had a couple more friends from Little Rhody with wicked awesome accents. So, true crime shows, please don’t get a fan excited. Had I know the Dateline offered nothing new, I wouldn’t have wasted an hour! It’s kind of like racing to the moon. Once America did it, why did Russia even bother? Now I am just going to eat and drink my sorrows away with a stuffed quahog and a coffee milk.